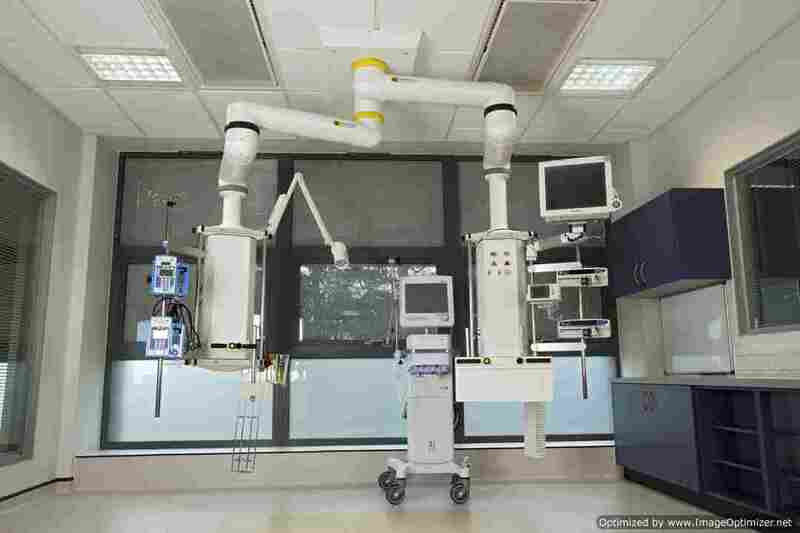 CEILING-MOUNTED pendant systems have become commonplace in many ICUs, enabling monitors, ventilation systems and electrical cables to be moved off the floor and out of the way. Their capacity to act as supply units for data and electrical technologies offers a real opportunity for the modern ICU to transform the way it works. But before the units are selected, forward planning is essential. Not all ICUs have the capacity for pendants. 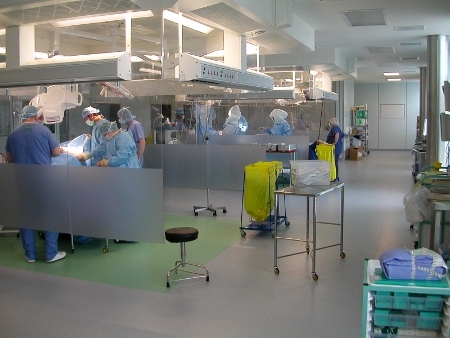 The design and construction of rooms may prohibit their installation; for example if bed spaces in the ICU are too small, or if the ceiling of the room has not been constructed to carry a load heavy enough to support a clinical pendant. Involving suppliers at the planning stage is therefore vital to help ensure the design and construction of the room and the pendants are suitable for the needs of the ICU. “We take the view we are not just selling pendants – we are providing a consultative service for the trust’s needs,” says Steve Middleton, business development manager for Trumpf Medical, which has been supplying ceiling pendants to the UK healthcare sector for 16 years. When installing, he says, it is important to consider how the pendant will fit with other pieces of equipment, such as hoists, so that when they are moved, they do not clash. In addition, in ICUs where pendants have been installed, the back wall behind patients’ beds should be kept free of electrical sockets and other service provisions. This is because staff will want to be able to walk around the bed to access the head of the patient so the area needs to be free of cables that could cause trip hazards. One of the most important considerations, Dhesi says, is the ‘throat size’ of the unit – the capacity to take new technologies on board should it be necessary in future. “It may cost more, but long-term you want to have flexibility,” Dhesi advises. Given the initial cost of such units – they can range from £15,000 to £25,000 – this can provide substantial savings in the long-term if it means the units can be adapted to suit the future needs of the ICU, rather than having to be replaced as technology advances or processes change. Choosing the number of electrical sockets and data points can be tricky, though. “Most hospitals tend to overdo the things they are comfortable with, such as electrical sockets, and not leave room for what they really need in the future,” Dhesi comments. To help customers visualise what the ceiling pendants will look like in their ICU, Maquet uses a 3D modelling programme. This helps staff to appreciate the size of the pendant and understand how it will work with other equipment around the patient’s bed so they can make more informed decisions about what they really need. Because they are heavy, most modern ceiling pendants are motorised, with an electromagnetic braking system to enable them to be easily moved into a position that most suits the individual patient. In addition, explains Scott Pickering from UK-based Starkstrom, the moveable arms help staff to see more easily where dust is gathering on the unit, so they can be kept clean. Starkstrom’s pendants also have a ‘screwless’ clip-in design for the mounting of electrical, data and other sockets, which also helps to reduce the build-up of bacteria, and makes it easier for staff to change the services each unit provides. 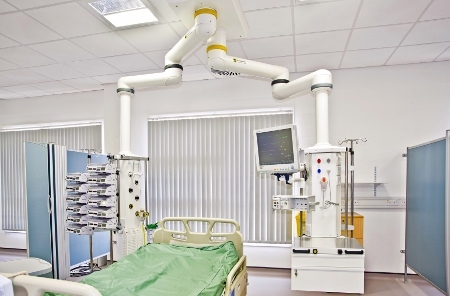 As trusts realise the advantages offered by ceiling-mounted pendant systems, they are beginning to explore their use beyond a supply unit for gas hoses, electrical cabling and patient monitoring equipment, and suppliers are being asked to develop systems that can fulfil new requirements. For example, in response to a request from one trust, Starkstrom is currently looking at how the pendant could be used to dock a ventilator in order to lift it out of the way when moving a patient. 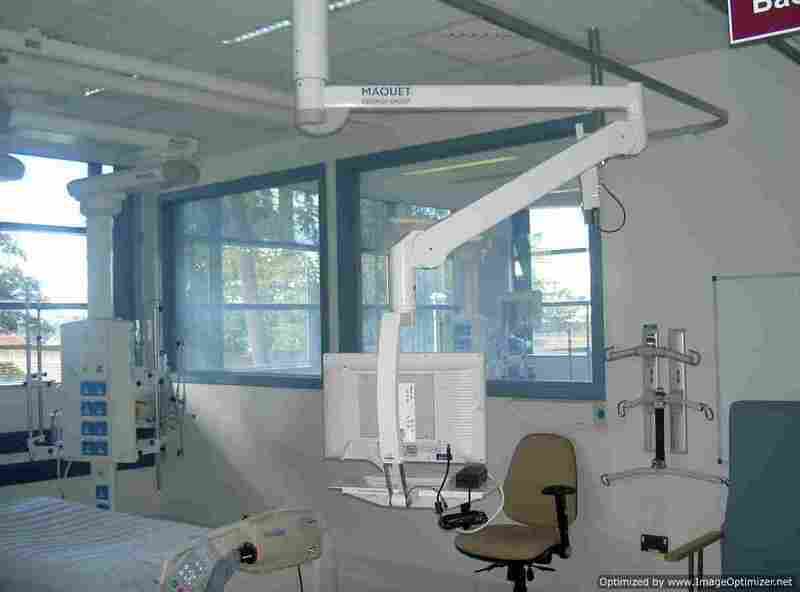 And, at West Wales General Hospital, Maquet was asked to develop a lightweight, ceiling-mounted patient monitoring system located at the foot of the patient bed in addition to the main ceiling pendant. The company developed a slimline model with a light spring-arm system on a C-arm bracket that could be brought down to bed height to enable staff to write up patient notes, using the attached keyboard, while sitting on a chair. Accessories that integrate with ceiling pendants can also benefit the patient environment. One of these is ambient lighting. Trumpf recently launched its modular ambient lighting system, AmbientLine, which was developed in recognition of the importance of light in the recovery process. 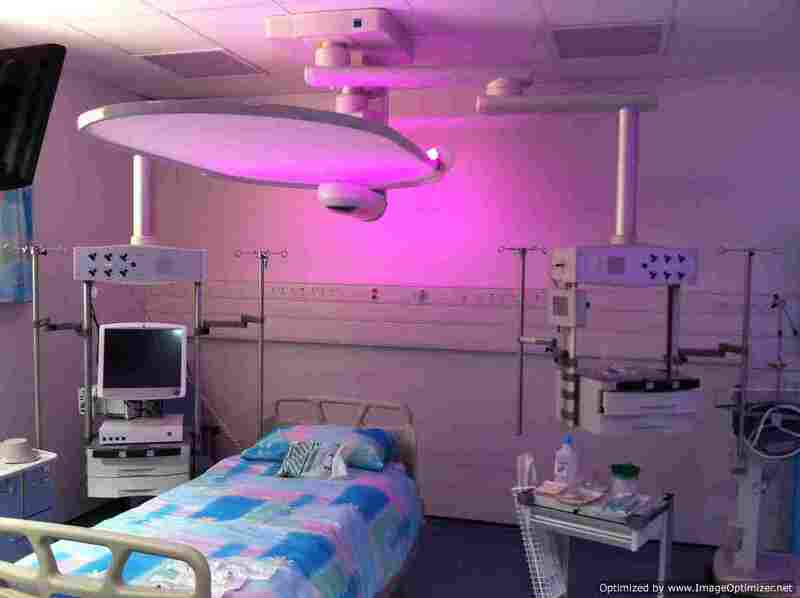 Working with the natural cycle of day and night, and with a range of colour settings, light is directed where it is needed, enabling staff to carry out tasks without disturbing the patient. Middleton says it also helps to create a relaxing atmosphere and speed recovery times. 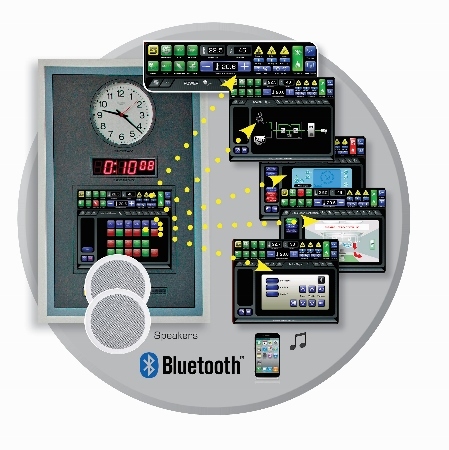 The first installation of AmbientLine in the UK was in the ICU at Park Hospital in Nottingham. 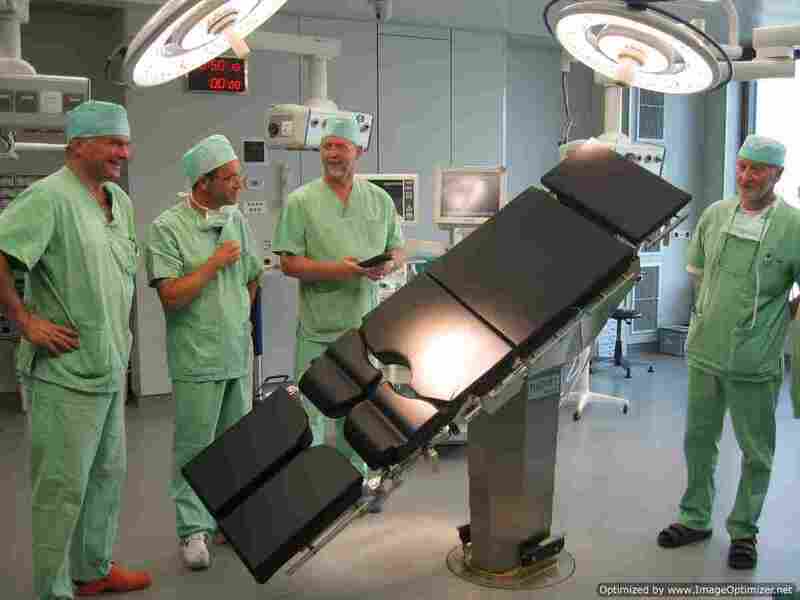 The system integrates with Trumpf’s TruPort ceiling pendant, which is a four-sided modular system where service modules can be changed by a trained staff member to suit the needs of the ICU. As ceiling pendants develop and their use expands it is clear that, with proper planning - in compliance with the relevant guideline, HBN 57, Facilities for critical care - they can become an effective organisational and clinical tool for ICUs. However, in order to ensure they remain effective in the long-term, it is essential that planning for the units starts early on, incorporating the pendants in the design, or redesign, and consulting both staff and suppliers in the process. In that way, trusts will be able to ensure the systems are tailored to both the current and future needs of the ICU.